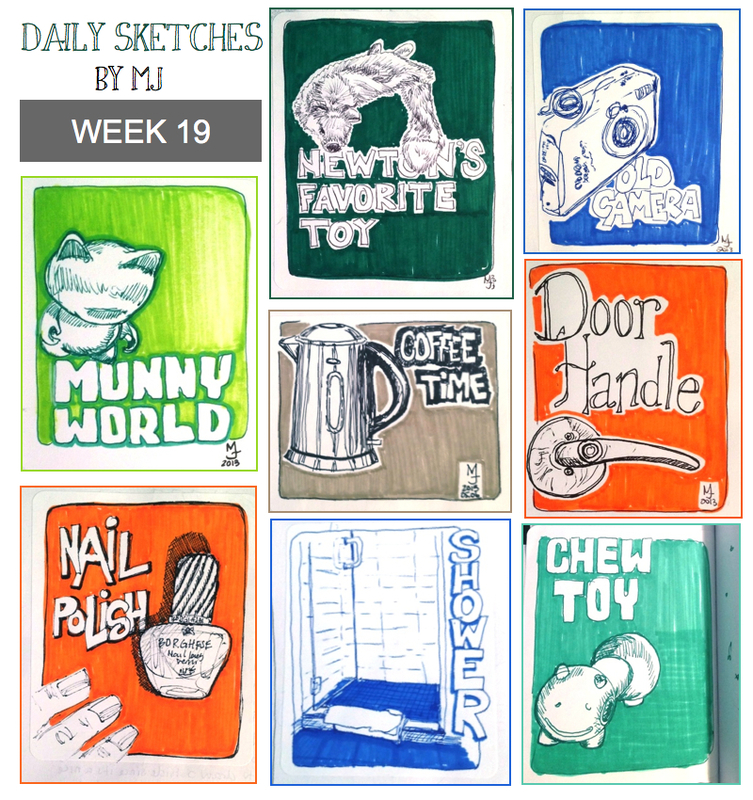 These are my daily sketches from last week. I like the fading background from the "Munny World" sketch. It wasn't planned. My marker was running out and I ended up with a better result from it. It's my favorite background thus far from this "series". Newton's non stuffed toy was interesting and challenging to draw. It turned out better than expected. The chew toy didn't turned out as I would like, but still interesting. I'm also liking the border using the word "shower" on the side at the bottom. Will probably use that again somewhere else.